因為之前 worren.net 只用了 1 顆 160GB 的 hdd in a thin PC . 所以只能將 /etc 等相關的設定檔進行定期異機backup .. Continue reading "FreeBSD 10.2-RELEASE 安裝在 GMIRROR 上"
昨天在整理上個學期的聯絡簿 , 發現這張 ... 答案揭曉 ! 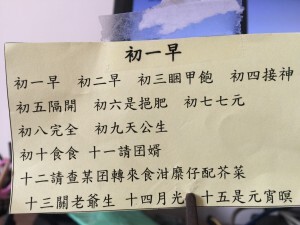 ..
今天一早, 宥瑜在客廳跑來跑去, 我在書房 Continue reading "宥瑜的鼻子蓋章"
繼 worren.net hdd 之前掛掉後 , 用了 FreeBSD gmirror 來解決硬碟隨時會掛的風險 , Continue reading "Windows 系統轉移於 IDE / SATA / RAID 之間"
worren.net 主機是一台 AOpen DE896 , VI C7-1.5G + 160GHDD +1G DDR RAM . 從 2010/3 開始服役 . 無風扇 / 省電 . 一直很想幫她做 RAID , 以免某天 HDD 掛了 . 2016/2/19 ....HDD 就是掛 , I/O Error .. Continue reading "worren.net 主機掛了 .. :("